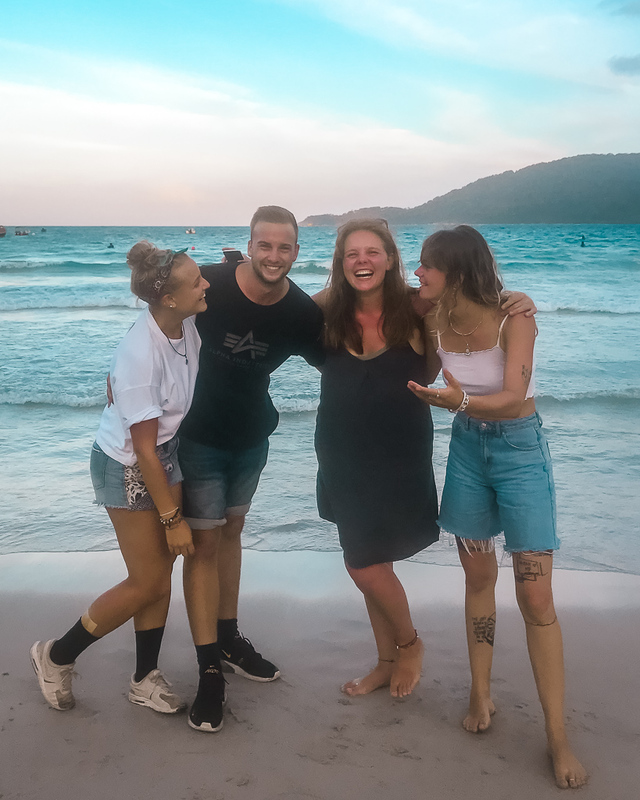 After the Cameron Highlands, Emma, Laura, Thijs and I took a long old bus to the Perhentian Islands off the east coast of the Malaysia’s West Island. We woke up on Monday to rain, so without any sunshine for sunbathing in sight we endured our day playing cards and relaxing at Panorama where we were staying. I had hoped to dive here as there’s some beaut spots and the visibility is meant to be insane, alas my burn was still healing and I was strongly advised against going in the sea water with it. 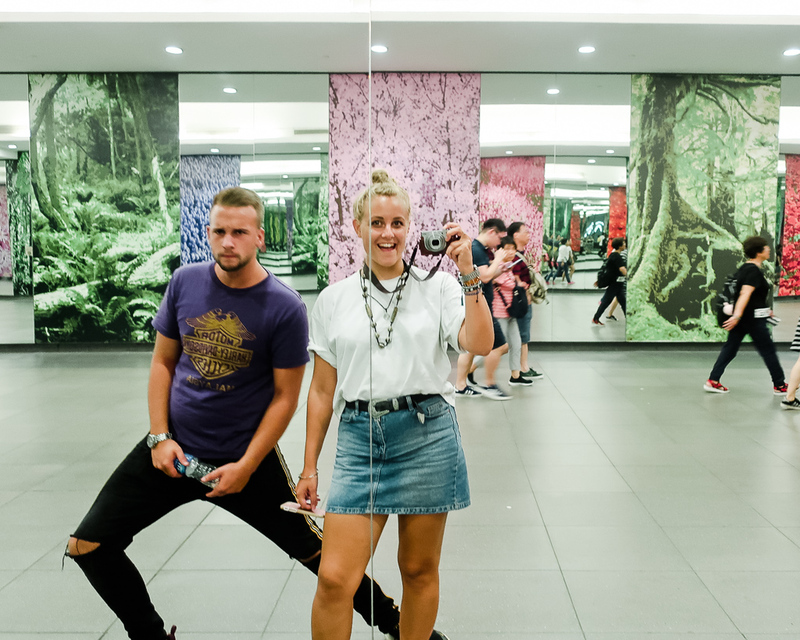 Since then Thijs and I spent a few days exploring KL, read about some of my fave activities in last weeks blog. Then we hit Melaka, which was a surprisingly entertaining city actually. 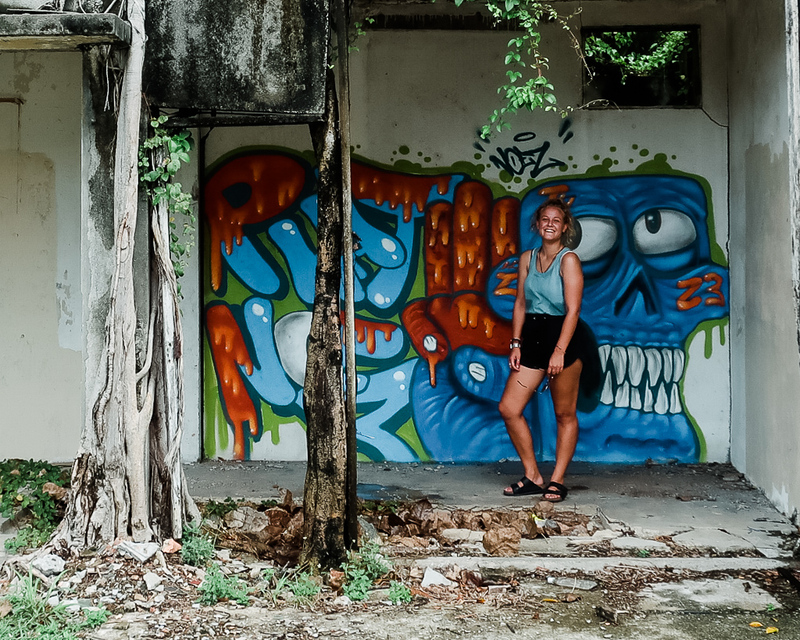 A few days of exploration had us learning about the Portuguese, Dutch and British influence on the place and we found plenty of awesome street art and weird abandoned buildings to keep the photographer inside me entertained too. Blog on Melaka to come soon! Finally, a couple of days in Singapore where our accommodation was kinda pricey but we made up for it by eating cheap. Loved exploring the different cultures in the city and we even headed out East to the swamps for a day of cycling (which of course resulted in a broken bike – not mine though for once)! Now, Bali to see Lauren & Jonny on their holidays, yaaaay! As I write this I’m actually sat on a plane, ALONE. After three weeks travelling with Thijs (plus others including my girls Laura, Emma, Ani & Lea, on and off), we’ve finally parted ways. It’s been a huge learning curve travelling with a new pal, you quickly learn the roles each of you take in the partnership (E.g I’m a planner, Thijs is more of a “go with the flow” kinda guy), you bicker about directions, you lend money here there and everywhere, you make new friends, long bus rides are suddenly way more entertaining and every experience is shared with someone – it’s been amazing. 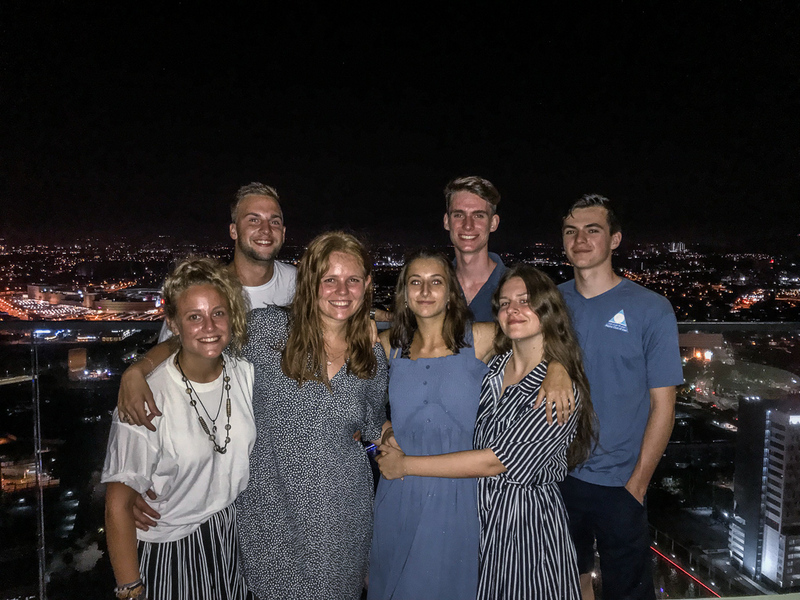 But with different travel lengths and schedules it was time to part, so Bali here I come, whilst Thijs heads to north Vietnam to meet up with some other Blackwood Hostel Alumni haha (all the girls previously mentioned I also met there too hahah what a place)! Listening: Sigrid’s new album “Sucker Punch”, which I haven’t got into as much as her other stuff but it’s growing on me – “Mine Right Now” and “Basic” are my fave so far but I’ll keep you posted. Firstly, in one of the first episodes it mentions that the McCann’s friend checked on the room before they did and realised she was gone. Was he ever investigated huh? Secondly, by ep7 (2 years down the timeline), the woman living above apartment 5a claims to have seen a guy hanging around there the day she went missing – errrrm bit late to bring that witness statement up isn’t it?! Thirdly – it just really seemed crazy that Robert Murat and Sergey were investigated after a journalist had basically a “feeling”. The lack of actual evidence used in this case to investigate both those two and the McCanns themselves is shocking and surprising. Finally, what I’m glad about from the final episode is that there has been some positivity come from that whole case, the Leveson enquiries into the media that caused the McCanns so much pain, and the results of the search for paedophiles that has ensured at least some were arrested. It will be a true miracle if Maddie is found and my heart goes out to all those poor kids that are taken and subject to that kind hideous sexual abuse and suffering – it really is heartbreaking. On a lighter note, I’ve also started to watch Gossip Girl from the Pilot as I’ve never seen it before! From what I hear it’s a must see 😆! Hope you’ve all had great weeks – looking forward to Spring too yay, and a long Easter weekend I’m sure!